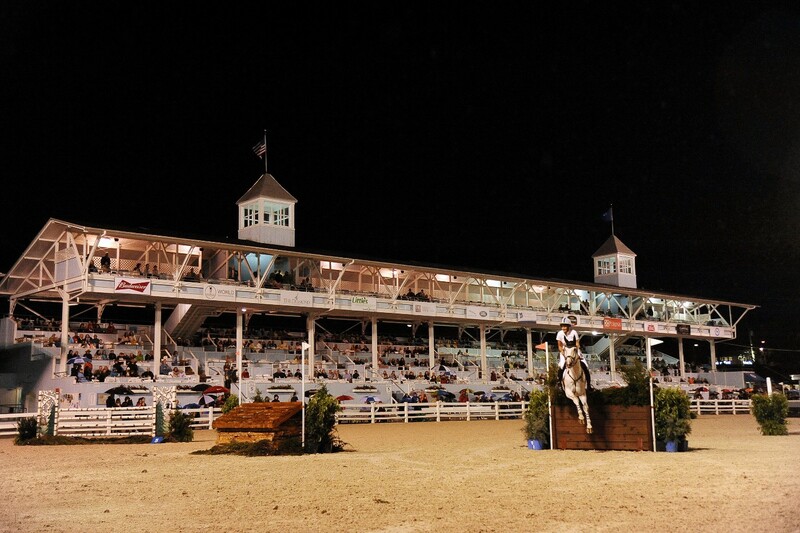 Anyone familiar with the historic Devon Horse Show and the elegant Central Park Horse Show may have witnessed a new phenomenon in the sport of Eventing: arena eventing—and it’s quickly become “a thing” in the United States. But what is it? Where did it come from? What do we think of it? Is it good for the horses? The riders? The sport? There’s a lot of talk about it right now, so let’s get educated and maybe get in on the conversation. Online chatter about arena eventing is timestamped as far back as January 2007 (thank you HorseandHound.co.uk and “skye123” wherever you are), but then the chatter quickly turned to something called “Express Eventing.” Primarily in the United Kingdom, Australia, New Zealand, and sparingly in Germany and Canada, Express Eventing held all three eventing disciplines: dressage, showjumping, and cross country, in a shortened format taking place in one-day of competition within one arena. After the first dressage phase, it was essentially a mad race through what could be an indoor and also outdoor cross country course, then straight back into the arena for the jumping phase with no stopping in between. I use past tense to describe Express Eventing because it seems to have grown into the UK’s version of arena eventing and no longer exists in its own right. This is at least partly because, in November 2008, British Olympian Mary King lost her Olympic partner Call Again Cavalier during the inaugural Express Eventing International Cup in Cardiff, Wales. The pair fell badly during the arena cross country phase; very unfortunately, Call Again appeared to have broken a femur and had to be euthanized. Express Eventing went kind of quiet after that, appearing mostly in less dangerous young rider competitions for the next few years. Then, in 2011, it suddenly reappeared at the UK’s Horse of the Year Show. In 2012, eventing legend William Fox-Pitt agreed to participate in a new team version of Express Eventing at the HorseWorld Live show at the ExCel Arena in London. 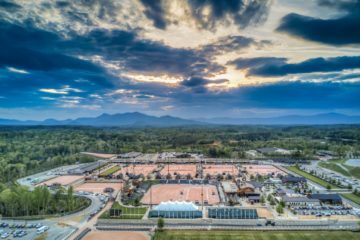 Fox-Pitt applauded Express Eventing for “taking the sport of eventing to a new and wider audience”—arena eventing in the US is now garnering the same response. Fast forward to 2014, FEI releases a set of recommendations advising all indoor and arena eventing competitions should be classified at 3* level, should be designed by an experienced 3* eventing course designer, and should follow one of these three formats: (1) Indoor/Arena Derby competition in line with jumping rules, untimed other than time limit, and pole-topped obstacles, (2) Indoor/Arena Eventing competition untimed with valuation for style, and (3) a two-phase competition where phase one has traditional fixed eventing obstacles and runs for optimum time, and phase two is a jump-off with 6-8 eventing-inspired, but knock-down obstacles. Here we begin to see the evolution of what we now know as “arena eventing” (but isn’t it really just arena cross country; oxymoron?). Still, even under its new name, riders suffered several nasty falls at an Indoor/Arena Eventing competition in Toronto, Canada in late 2014. 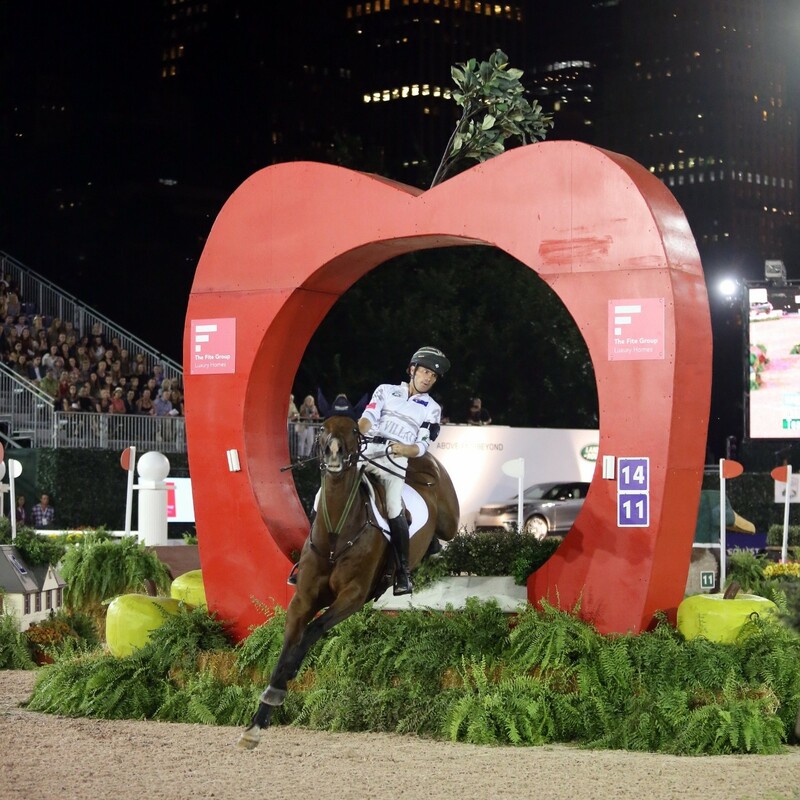 Canadian World Equestrian Games rider, Selena O’Hanlon misjudged a Normandy-bank-style obstacle causing her horse, First Romance, to flip over the fence and land on top. O’Hanlon broke her collarbone and spectators broke the internet voicing their concerns all over social media. One scathing post read, “Whatever that was at the Royal Winter Fair, it wasn’t a true depiction of the sport of eventing. They should scrap it or rename it demolition derby.” This started another fresh debate about the risks posed by arena eventing, and the competition went back underground. Want to learn more about Arena Eventing’s turbulent rise? Join our Coterie to access the full article in EQ AM Magazine! WEG Headed Back to U.S.